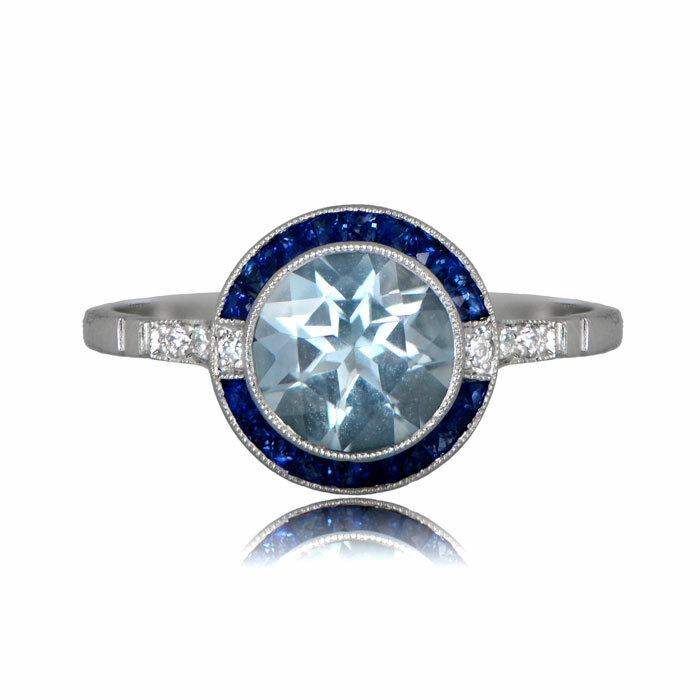 The Thames Ring showcases a beautiful round cut aquamarine, and adorned with a halo of French cut sapphires. The shoulders are fitted with diamonds and surrounded by fine milgrain. 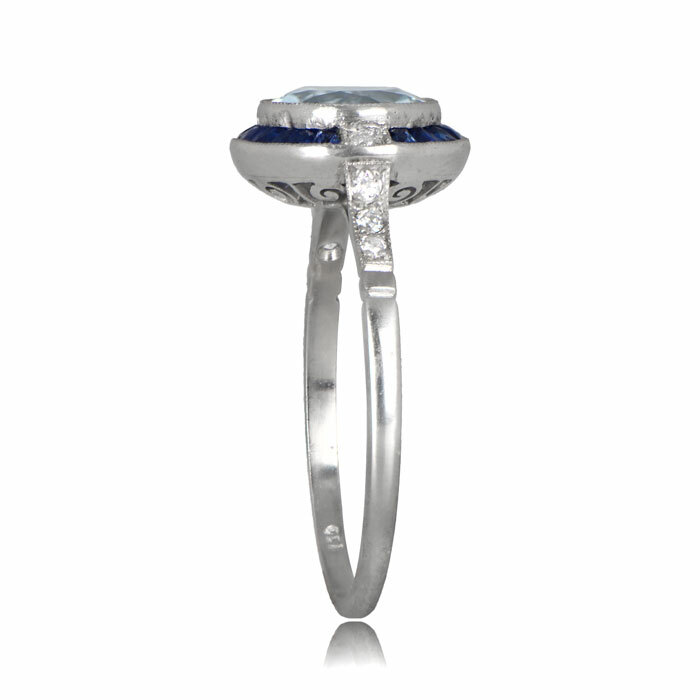 The mounting is hand-crafted in platinum and features a decorated under-gallery. 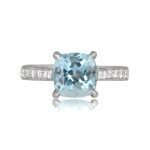 This ring can be resized to any size at no extra cost. 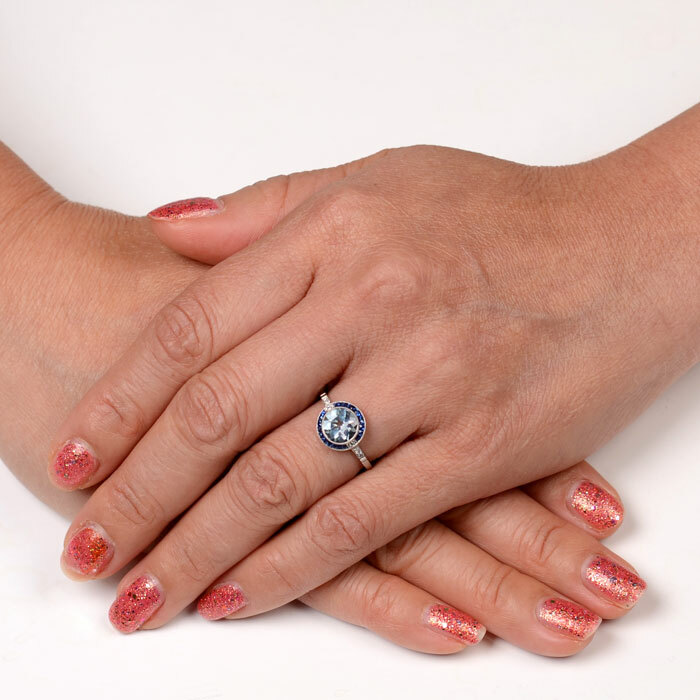 If you have questions about our Thames ring, please feel free to contact us. 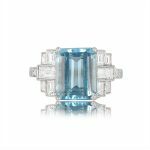 SKU: 12320 Categories: Aquamarine Engagement Rings, Vintage Engagement Rings - Contact us and request additional pictures.